Sometimes you just need a "pick me up" to get you through the day. Often, in times like this, we will grab a high sugar, chemical fuelled energy drink. One where we have no idea what is in it, and one where it will probably doing more bad than good. We have all experienced "the crash" whether that be from Coffee or other caffeine sources. You know the one where you have a great spike of energy for a while, before you crash back down to ultimate tiredness. 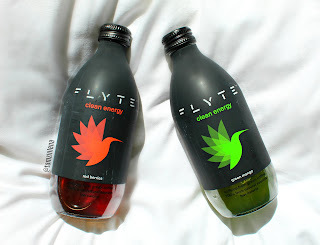 Flyte is different. I will allow them to explain as I am sure they know more about themselves than I do! I fly to America in less than 3 weeks now, and even though I have plenty of time, I am organising myself pretty early to avoid any last minute stress. I haven't packed yet, no, but I have made "piles" of stuff in my room to make myself feel more at ease. 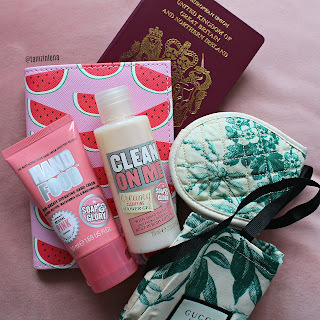 Today I thought I would share with you 5 things to take in your hand luggage that you might not of thought of. Often when packing we can get so caught up in the essentials, such as passports and passes, that we forget the smaller things that may actually make the journey run slightly smoother. Talking of making things smoother, hand cream. Hand cream is not only great for your hands, it can be used as a general mosituriser to keep your body hydrated. Think of it as a multiple purpose cream, you can use it on your feet, elbows and face. Hand cream is very rich and thick, meaning it is the perfect product to use when your skin is dying for a drink. 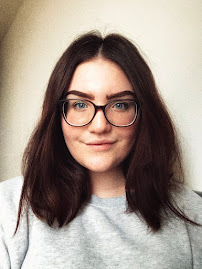 The one in the photo above is from Soap and Glory. I have several "Long Distance Friends". Some of them I met "In Real Life" first, and they moved away, and some are "Online" friends that I have met since beginning to talk to. Let me say before we divulge into this post, that my "Long Distance Friends" and some of, and if not are, my best friends. Here's why. You treasure all your friends, of course. But there is something special about being friends with someone that you may not talk to everyday, but you hold so much trust in them, that you know they will be there, for you, regardless. You also know that when you are to see them again, nothing will have changed. Your friendship contains so much excitement, because you don't get to see them IRL very often, which means the time spent with them physcially is so special. 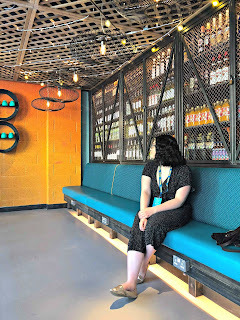 On Saturday, I attended the Blogger's sneak peek/opening of 200 Degrees in Sheffield. If you didn't already know, 200 Degrees is a chain of coffee shops throughout England. They roast their own coffee and sell it fresh instore. And trust me, you need to try it. Not only do they sell their wonderful varieties of coffee, they also sell an abundance of sweet treats and yummy sandwhiches. 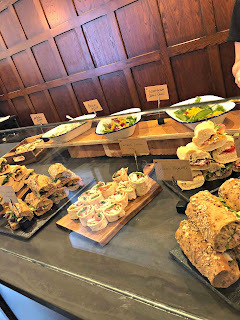 I got to sample a few (many) of their cakes and a couple of their savoury options too.The falafel wrap was gorgeous and the potato salad was to die for! I repeat, to die for. You need to try the potato salad. Yes, I will keep typing the words potato salad so that you actually take my word for it. I also sampled the hummus and beetroot sanwhich which was very tasty too, but I have to say my heart belongs to the desserts. I can't decide whether I preffered the honeycomb (!!!) rocky road or the salted chcolate bubble. They were both so delicious! Last night I attended the launch party for Turtle Bay's brand new resturant in Sheffield. I thought I would show you some sneak peeks of what we got up to, and what is inside the resturant before it opens to the public on June 3rd. We had so much fun at the opening party and I can't wait to go back to try the food properly. The cocktails and the food we did get to try were so yummy, so I am more excited than ever to sit down and experience the reggae joy all over again! Have you ever been to a Turtle Bay? If so, which one? I need to eat that Halloumi burger again. You know me and Halloumi. I am obsessed. But the sweetcorn fritters too. They were on another level.